Our weekly review got lost in the mix last week. If you follow my posts, we had a great loss and honestly just tried to keep busy and our minds sane. I have combined the last two weeks reviews into this post. 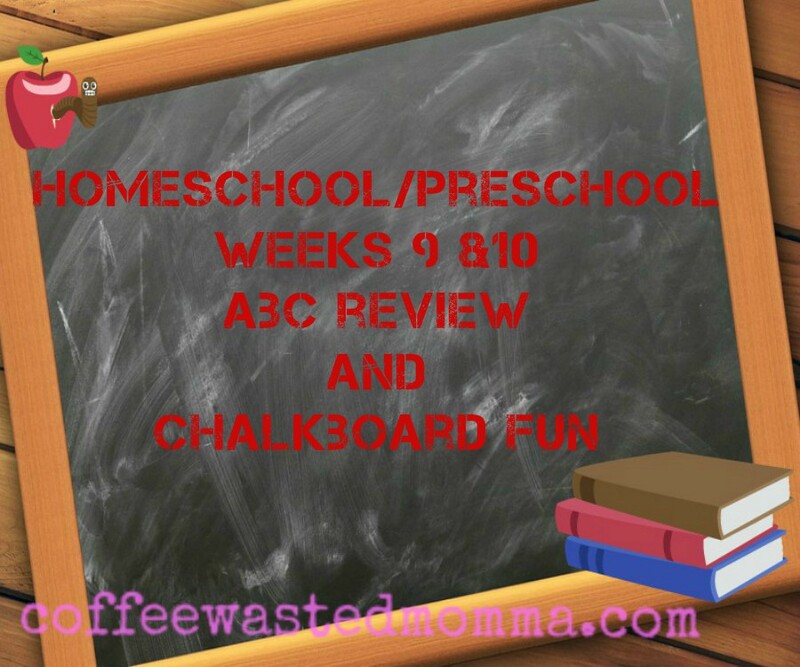 We are still continuing to review the following letters: A, C, T, E, and now H.
They have a great source of preschool print sheets in different themes. I have been having Little E work with different writing utensils and techniques also. She has used dry erase markers, crayons, paint, pencil and chalk. 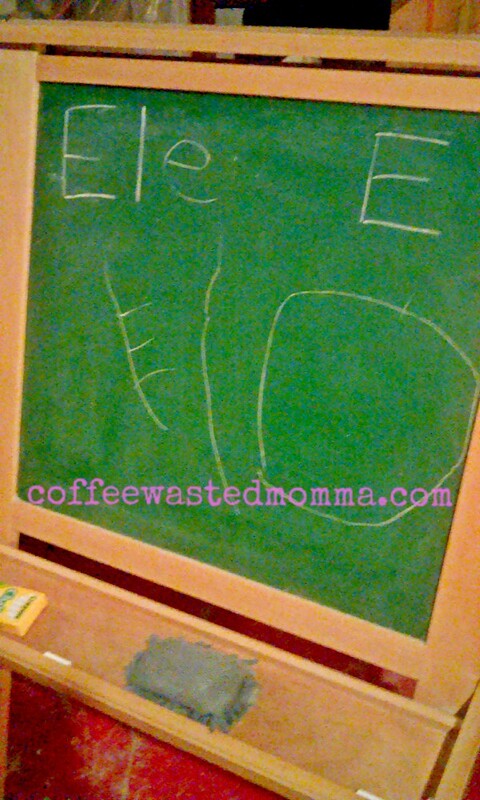 Chalk and paint are definitely her favorites! I have also been finishing up some Halloween sheets I had left over and we will begin our Thanksgiving series this week. Here: 101 Thanksgiving Traditions have a ton of great and fun ideas. I'm sure we will be using some of them! There are a ton of very creative crafts and lessons I hope to get started on soon. 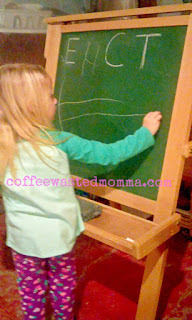 We bought a chalkboard/dry erase board easel! It was an awesome find at a thrift store near my aunt. I only paid $6.00 for it and it was missing 2 screws that we replaced for less than $3.00! So, basically, we scored an amazing dual purpose learning board for $9.00!! E is absolutely in love with it. She wakes up everyday wanting to do her "letter school". She has even bribed her sisters to play and she can be the teacher and they are her "assistants"(students). I love that she can just jump right over and get into her writing! No prompting, no waiting to have her work printed or sorted out. I have found her "working" on and off instead of wanting her show on or wanting the tablet to have cartoons. We have started working on her name. Well, part of it, or her nickname. Ele, pronounced just like the letter, L. She does good with E and l, but the little e has been a challenge. We either get a circle or some weird squiggle, but it's a start! I hope you all have had a great week of learning and continue to follow us! We love all the comments and feedback. Share your best ideas with us!